Tamale Pie is a delicious, sweet and savory, comforting meal that is loaded with meat, beans, cheese, and veggies with cornbread on top. 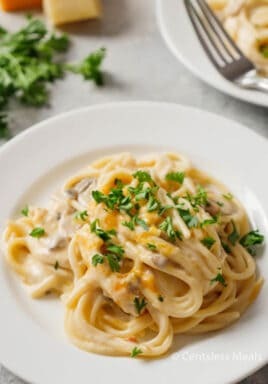 It’s sure to be a family favorite! Mexican food is a staple in our home. 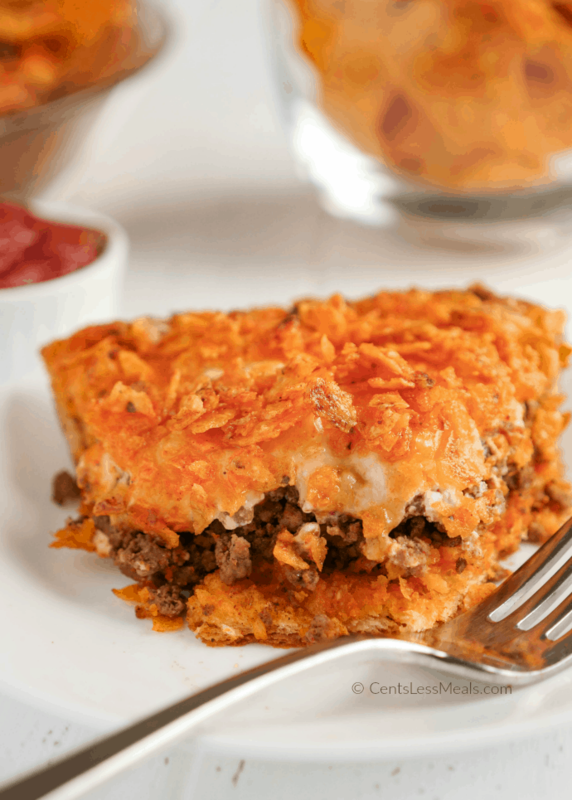 The combination of meat, beans, taco seasoning, and cheese is always something I can count on my little ones eating and begging for seconds. 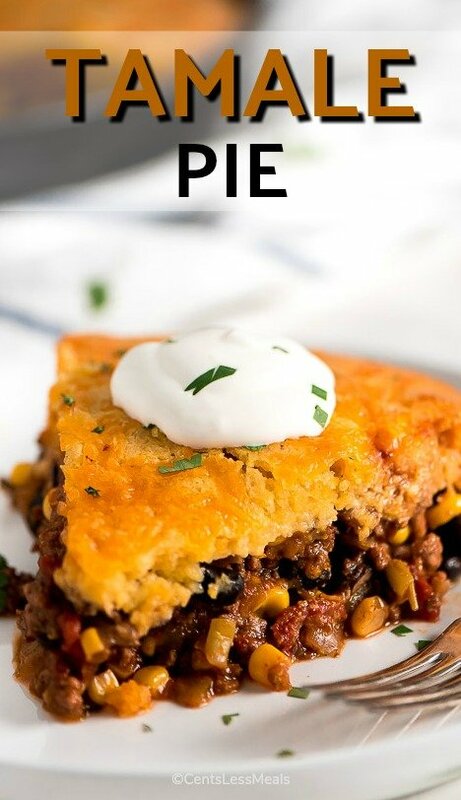 This Tamale Pie has all the same things that are in tacos or tamales but in pie form. And it only takes one pan! Yay for easy clean up! If you don’t have an oven proof skillet, you’ll have to transfer to a pie dish or 9×9 inch pan… and wash one more dish. To start this delicious meal, you brown the meat along with the onion and garlic. Be sure to drain off the fat. You don’t want to eat a pie swimming in grease. Then you add all the yummy mix-ins like black beans, corn, tomatoes, green chilies, and cheese. For flavor, you’ll add the tomato paste, chili powder, salt, cumin, and pepper and then simmer. You could stop here and enjoy a delicious taco filling but you’ll be missing out. 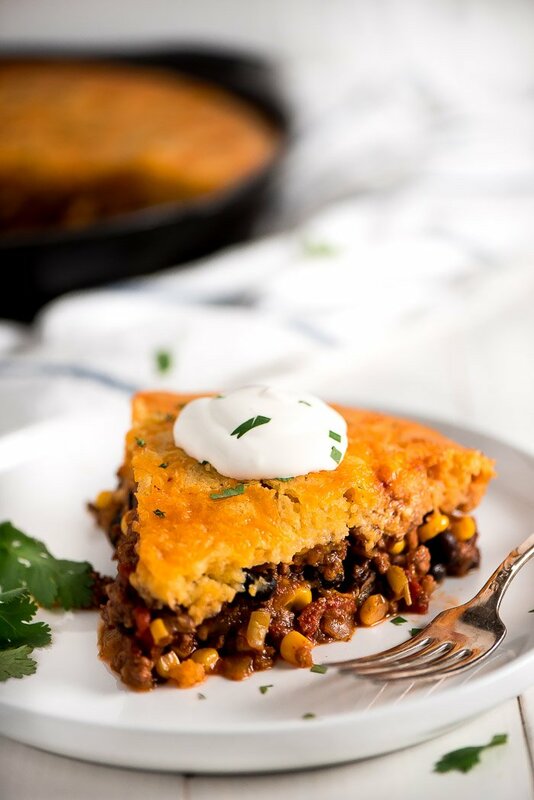 On top of all that meaty veggie goodness is a layer of corn bread. 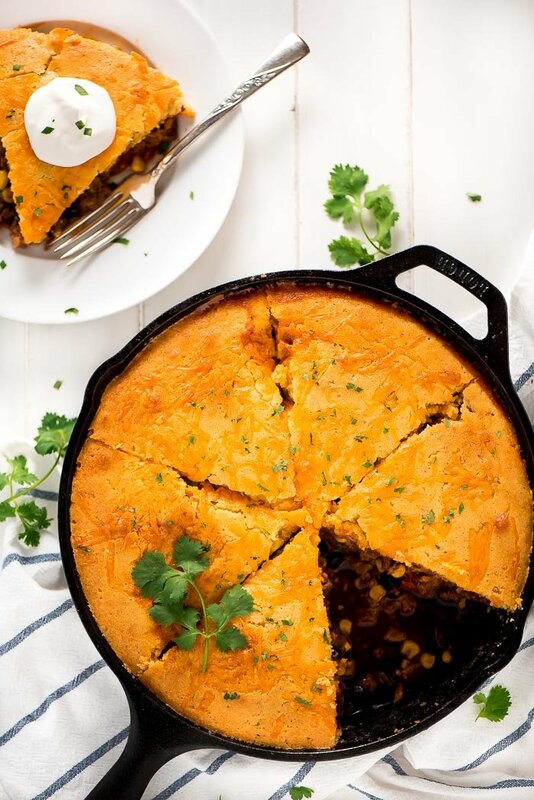 The sweet cornbread in combination with the savory spicy filling is divine! This is my favorite cornbread! It uses buttermilk which I like to always have on hand because we make whole wheat buttermilk pancakes at least twice a week, but if you don’t have it on hand you can easily make it by adding ½ tablespoon vinegar to ½ cup milk. It makes a light and fluffier crumb. Before baking, I like to sprinkle the top with some cheese. 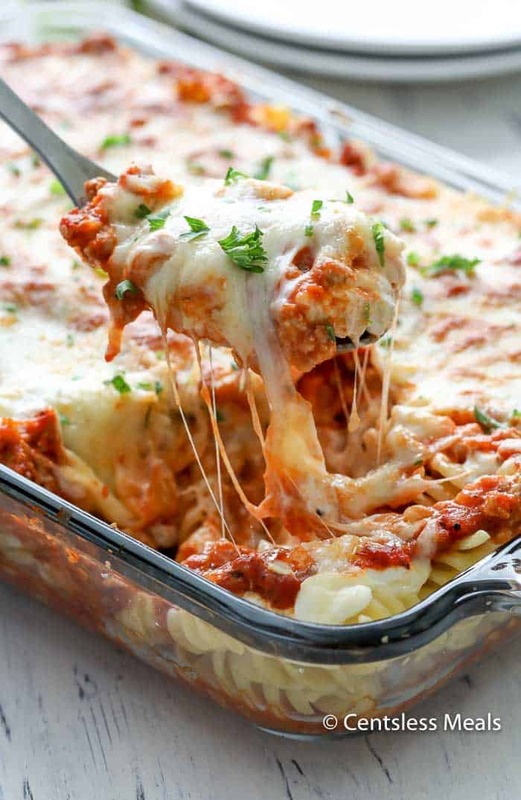 The cheese on top is totally optional but I love that it gets kinda crispy, and who doesn’t want more cheese?! Enjoy! 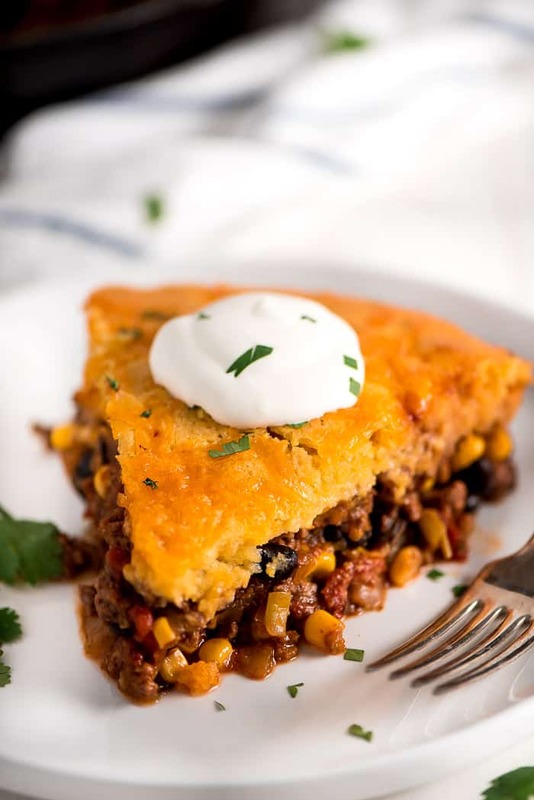 Tamale Pie is a delicious, sweet and savory, comforting meal that is loaded with meat, beans, cheese, and veggies with cornbread on top. It's sure to be a family favorite! 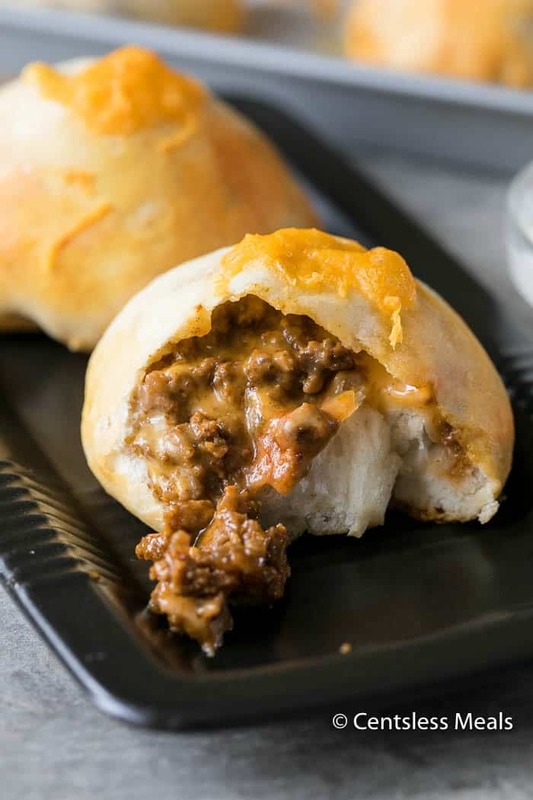 Place ground beef, onion, and garlic in a 10 inch oven proof skillet and cook over medium-high heat until meat is browned and onions are translucent. Drain off oil. Mix in the black beans, corn, green chilies, tomatoes, tomato paste, and seasonings. 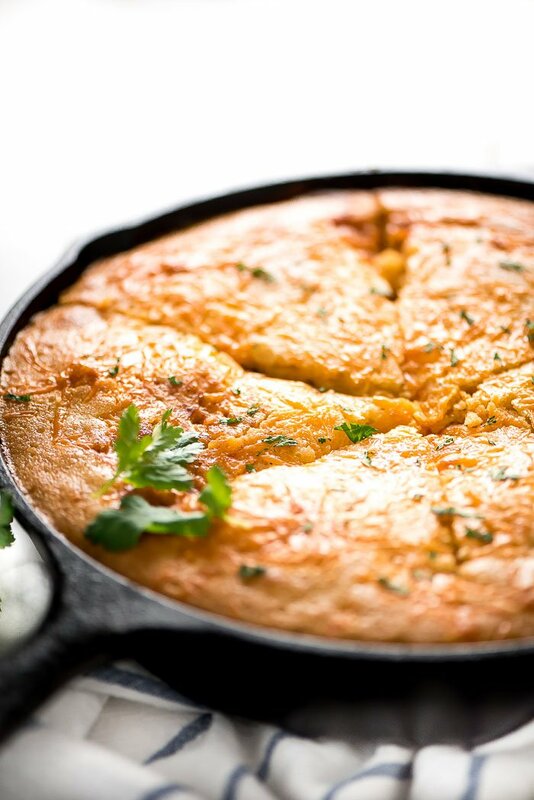 Bring to a simmer and cook for 10 minutes while you make the cornbread batter. For the cornbread batter, mix the butter and sugar together. Add the egg and buttermilk and mix until smooth. Add the flour, cornmeal, salt, and baking soda and stir until combined. Stir 1 cup cheese into the meat mixture after it simmers. Pack the mixture down into the pan to make a smooth even surface. Spread the cornbread batter evenly over the top. 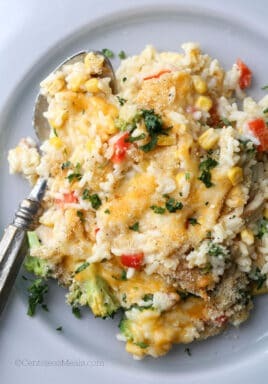 Sprinkle with remaining 1/3 cup cheese and bake for 25-30 minutes or until golden. Let the pie rest for 5-10 minutes before slicing and serving. Top with cilantro and sour cream. 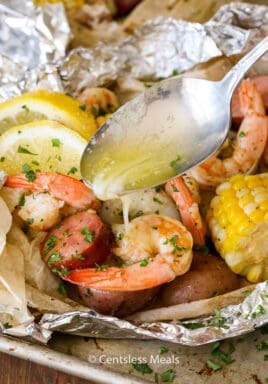 This look so delicious! Would love to do this as a freezer meal. Do you know how it holds up to freezing? We haven’t tried freezing it, Michele. Let us know how it turns out if you do!